July 22nd, 2009. 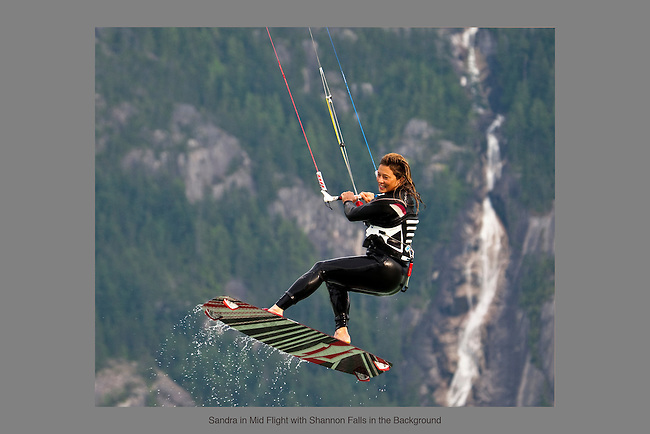 Kiteboarder Sandra Bicego catches some big air with the local landmark Shannon falls in the background. Squamish, BC. Photo by Gus Curtis.